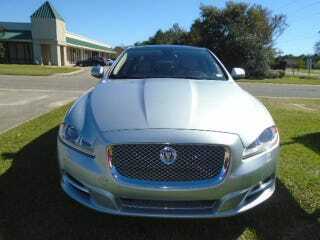 Ive mentioned several times how the 2011-2013 Jaguar XJ Supersport is my dream sedan. This 2011 XJL-SS has nearly 100,000 miles on it but that’s because it has been someone’s 510 hp supercharged British daily driver. It was owned in Austin, TX until early this year and now sits out in Daphne, AL. I’m very particular about the spec of my cars, but if this were closer to me (and I could check the Beater-British car cues) then I could have been convinced into swapping the XF for the XJL-SS until my dream spec appeared later on down the road. You have to love that wood trim Riva line. I’m happy Jaguar made it a signature design cue even though it’s a bit weak in the lower cars. Yeah, I’d take it on until 2020.